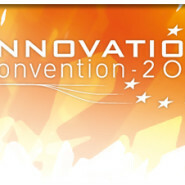 The first edition of the Innovation Convention organised by the European Commission, which will take place in Brussels from December 5th to 6th, 2011, is an important step in the EU’s roadmap to turn Europe into a more innovation-friendly and competitive continent. This conference will bring together world leading experts in research and innovation to share their views on building a global innovation economy. From a great number of applicants, the Project Radio-Past was selected to be among the 50 EU funded projects that will be able to display at the conference’s exhibition the most innovative scientific results achieved in the framework of their research activities. The Radio-Past team will present videos and perform tests and demonstrations at stand 33, entitled “Radiography of the past – Uncovering the invisible on archaeological sites”, focusing on new instruments for geophysical survey, innovative methods for remote sensing and latest ICTs approaches that are being enhanced to produce knowledge and effective ways to visualize and valorize ancient sites and townscapes.